While I am very blessed that none of my 3 children have nut allergies it seems to be running rampant these days. There seems to always be a few kids in each of their classrooms that are nut free and for these children something they have to worry about everyday. I would like to introduce you to Skeeter! 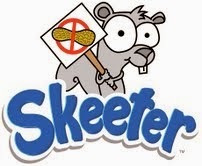 Skeeter is the only squirrel in the world with a nut allergy! How cute is that? Children never want to feel "different" and knowing there are others like them-even if it is a squirrel really can help a lot. Also the fact that these cookies are so good you will not even think about nuts! I loved the chocolate chip minis! They rocked my world with the big flavor-and my kids loved them too. The cinnamon grahams are cinnamon without being overly cinnamon. Plus they are in the shape of Skeeter! These products are great because of the taste - whether you have a child that has a nut allergy or not! Nut allergies are on the rise and life threatening-No child or parent should ever have to worry about a threat that is given to them. Thanks to Skeeters for developing a delicious alternative that can be enjoyed by all! I am always impressed to see a company get things right! Wanna hear some awesome news? 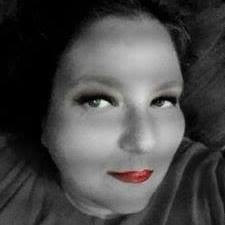 Skeeter Snakes would like share the love! TPAs are a serious problem. The number of kids directly affected has more than tripled over the past fifteen years and the rate of incidence is growing. Most kids who suffer from nut allergies will not outgrow them. Most often, the allergic reaction is in the form of rashes and other skin irritations, but it can also result in anaphylaxis an extreme, often life-threatening reaction and every person (or parent) dealing with this lives with that reality. But this isn’t an issue limited to allergy sufferers and their immediate families. Today, the prevalence of these allergies is such that most classrooms and teams have at least one person with a TPA. This means that teachers, coaches, counselors and parents of non-allergic kids have to know how to be safe because at some point, and perhaps frequently, they will be providing snacks to a group containing at least someone with TPA. We make it easy to be safe by making great tasting snacks everyone will like that are CLEARLY LABELED as safe for those with tree-nut and peanut allergies.